This was a quick meal, and pretty good. It would be great with shrimp as it was written, but it works well substituting more veggies as we did, too. 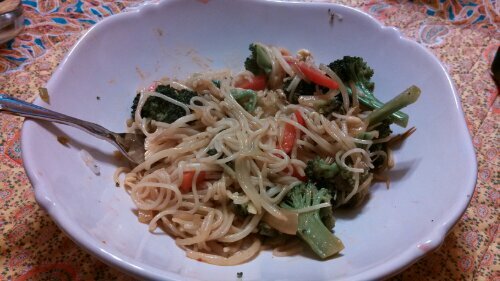 We made it…by leaving out the shrimp and stir frying broccoli instead. We thought…it was quick, easy and tasty.